El Nuevo Dia Educador 2012 Awards (@PremiosEnde) highlighted the graduate students whose academic background, values ​​and commitment to building a better country is demonstrated through community serviceand exemplify the strong commitment and important to help others. 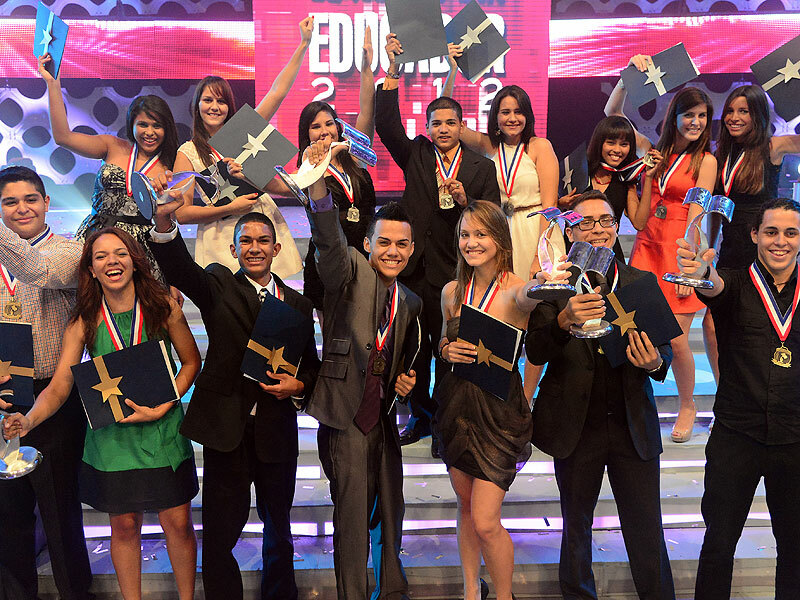 The 301 students nominated for El Nuevo Dia Educador 2012 held twice in the award show, they awarded the 16 “Duros de la Materia” winners during an emotional ceremony marking the tenth anniversary of this program, which recognizes high school students who excel in their academic record and service. The Centro de Bellas Artes Luis A. Ferré in Santurce, was the scene of the event, which aired live on Puerto Rico TV (Channel 6) and online through ElNuevoDia.com. Winners get the opportunity to receive scholarships from the University Sagrado Corazon, the University System Ana G. Mendez, the Catholic University of Puerto Rico, the Technical University and American University, and two roundtrip tickets to a destination in the continental United States courtesy of American Airlines, a medal and a certificate. In addition, winners receive a statuette and a cash award courtesy of the Community Foundation, the Foundation Muñoz Bermúdez and Amgen. Meanwhile, the references are given $ 1,000 cash courtesy of the Foundation Muñoz Bermúdez and Amgen. Premios El Nuevo Dia 2012 Nominees. 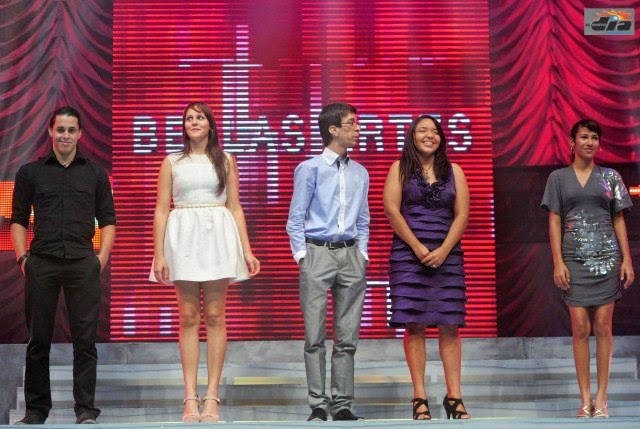 2012 Premios El Nuevo Dia Educador Winners. 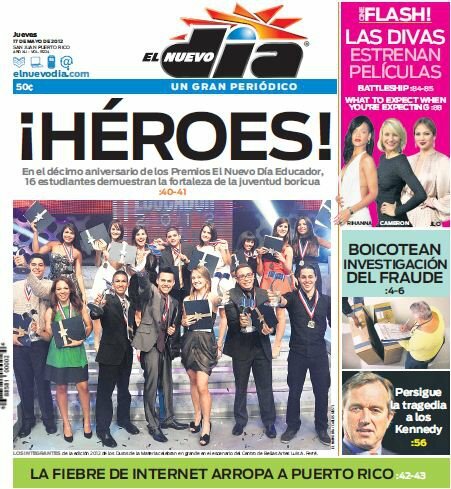 On the Front page/cover of El Nuevo Dia Newspaper.